The topic of alcohol and the liver is long overdue for re-evaluation. The authors of this book have clearly taken up this challenge. Human interest in alcohol dates back to the Neolithic period (circa 10,000 BC). Only a small amount of alcohol is found naturally in food. Therefore, humans have yet to adapt to the high quantities of alcohol consumed daily by alcohol abusers. Alcohol is a simple carbohydrate and is metabolized as a fuel. However, unlike more naturally occurring carbohydrates such as glucose, the pathways for its metabolism are not subject to the same checks and balances. Ethanol oxidation reduces NAD+, which starves reactions that depend on this substrate. This accounts for the accumulation of fat in alcoholic steatosis. Alcohol metabolism generates significant amounts of reactive oxygen species (ROS), which damages mtDNA and subsequently mitochondrial integrity. The authors provide several lines of evidence that link the clinical picture of alcoholic liver disease with mitochondrial damage. Other important topics highlighted in this book include histo-pathological aspects of the disease. Clinical assessment of nutrition and vitamin supplementation is addressed as well. The book concludes with the highly topical and controversial aspect of liver transplantation in patients with alcoholic liver disease. 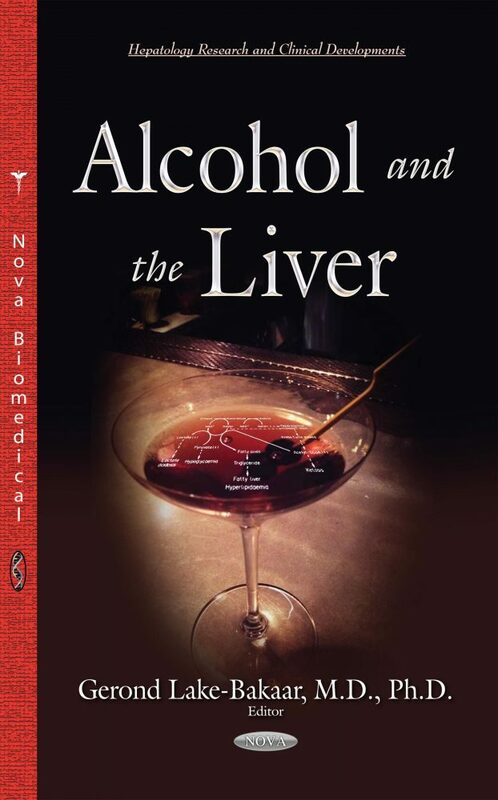 The book provides a deep understanding of all aspects of alcoholic liver disease. It should appeal to both clinicians and non-clinicians that cope daily with alcohol abusers.